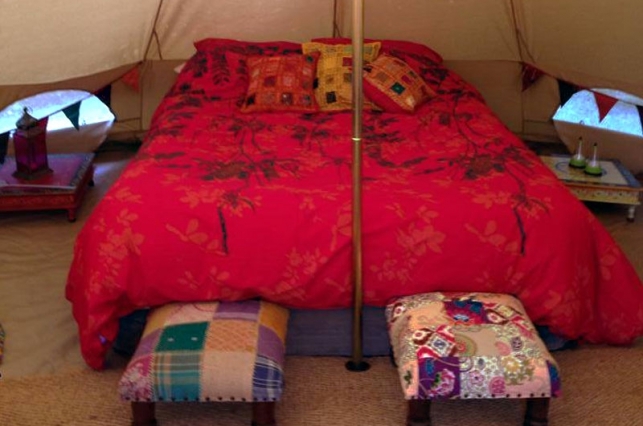 To celebrate the arrival of our two new Shepherds’ Huts we are offering two nights glamping in our five bell tents or any of our wagons and shepherds huts for £100! 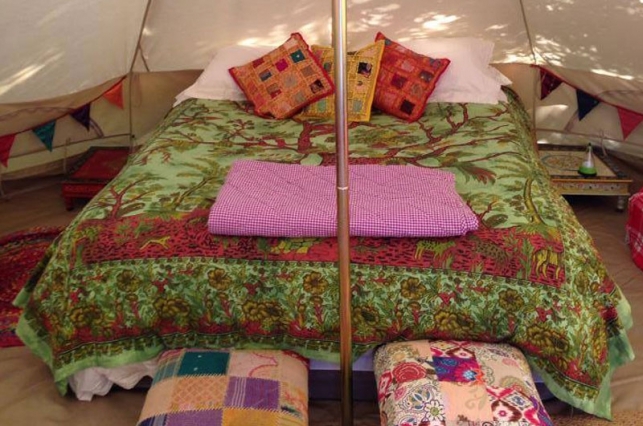 Our bell tents are situated in our orchard area snuggled between the plum trees or in our main camping field. 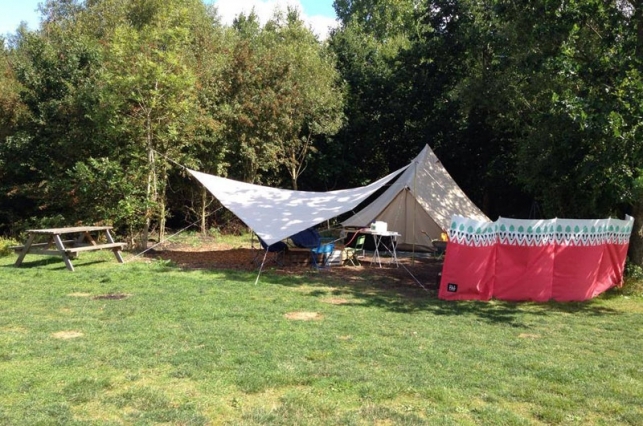 Each tent is set up with a double two single campbeds beds (let us know if you need a third single or only one single). 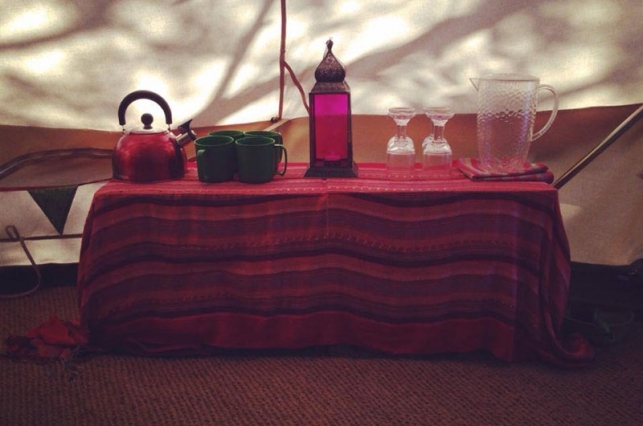 All are furnished in Indian style with braided rugs, footstools and Indian bedside tables. Each has an awning for more shade or shelter if needed. We ask for no outdoor shoes in the tent please. 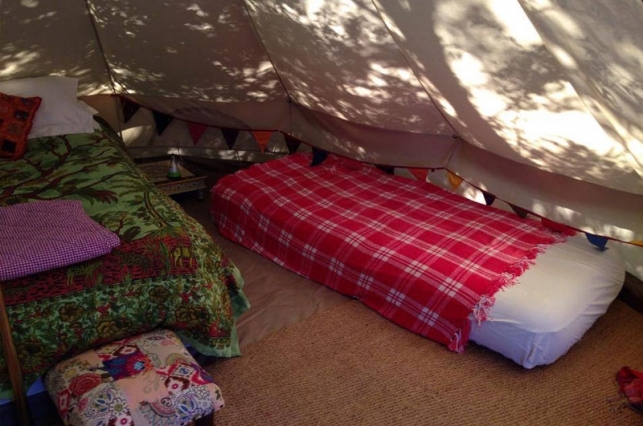 All bedding for the double camping bed is provided. Sheets only for the single beds. Please bring pillows and bedding for these secondary beds. To check availability and to book, simply go to our Availability and Booking page.